This is true. 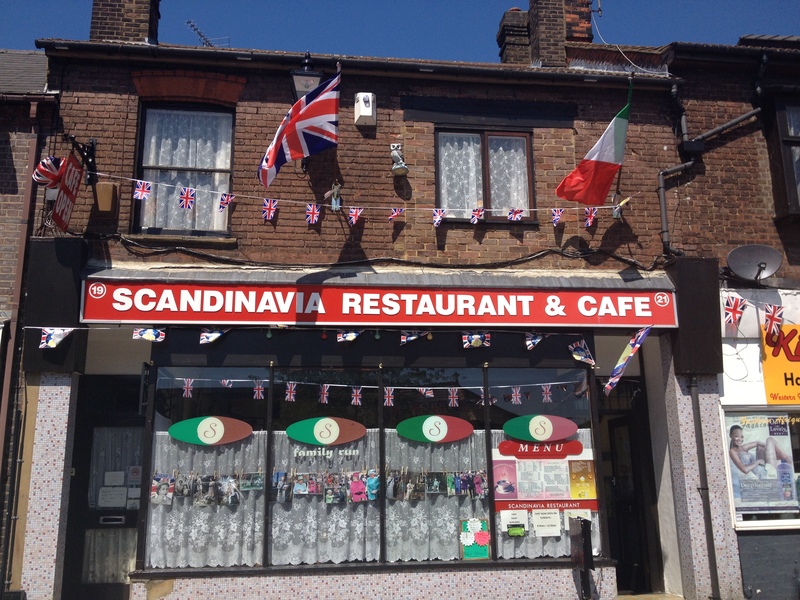 The Scandinavia Café, with its formica tables, American memorabilia and 55p mugs of tea is so achingly hip – entirely without meaning to be – that it hurts. Both the gloriousness and irony of this situation was not lost for example, on Berlin filmmaker and photographer Julia Elger, former student at the University of Bedfordshire, who even took up a part-time job at the Scandi in 2007 so that she could get to know the patrons and secure their permission to make a photographic study of the place. 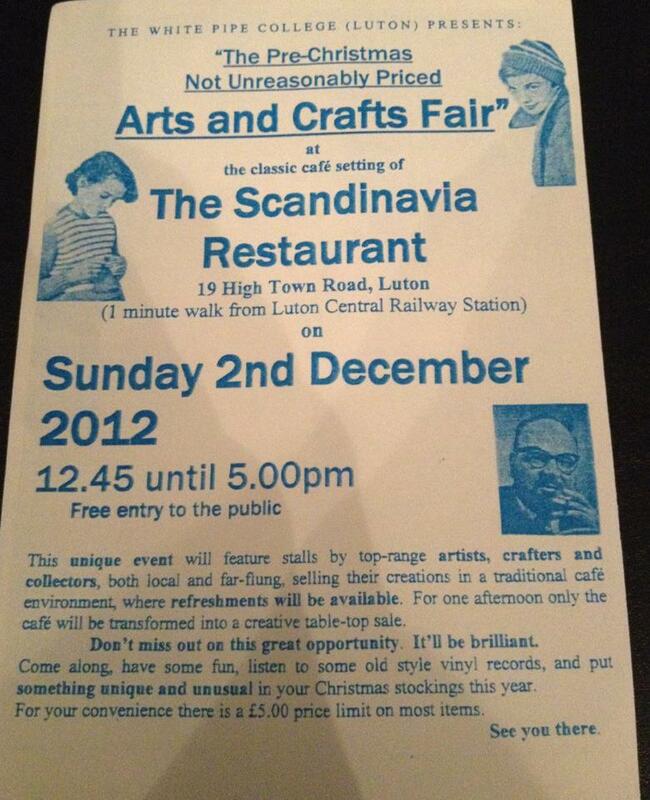 It was also the venue for 2012’s Pre-Christmas Not Unreasonably Priced Arts and Crafts Fair. The Pre-Christmas Not Unreasonably Priced Arts and Crafts Fair 2012, held at the Scandi. The Scandi is, moreover, no lone inadvertent hipster enclave in High Town. Anyone who’s handed over good money for a cocktail at trendy Hoxton joint Dream Bags Jaguar Shoes (its name drawn from the distinctive signage of the two former shops which make up its premises) will recognise the potential of the shop whose name serves both as inspiration and perennial provocation for the Yoga World & Pesto blog: I refer, of course, to none other than the High Town icon that is Wallpaper World & Paints. The Scandinavia Café is unfailingly friendly and a great place to read and work. I’d spend more time and money there, however, if I knew that their delicious omelettes were made from free-range eggs and the tea was fair trade, and if they offered the option of what is currently deemed ‘posh bread’: if, in short, they were prepared to make a couple of concessions to those of us who care about the provenance and quality of what we eat, or have special diets, or whatever. Home-made cake or soup, perhaps; with a dash of free wifi. Whilst we’re at it, a note about ‘posh bread’, just so we’re clear: the everyday sliced white beloved of the ‘working classes’ is the mechanised production loaf forced on us by monied industrialists; the true ‘bread of the people’ is hand-crafted, artisanal bread made with fewer additives (and a good deal more love), with profits from small-scale production flowing back into the local community and creating meaningful, skilled jobs. So don’t give me that yack about ‘classist-ness’. I’ve no desire that the place become so gentrified that we put off the pensioners and the regulars. But it does seem that places like the Scandi are missing a trick by failing to extend and update their offer. That place should be buzzing with custom and making the most of its inadvertent hipsterish charm, and often times, it isn’t. 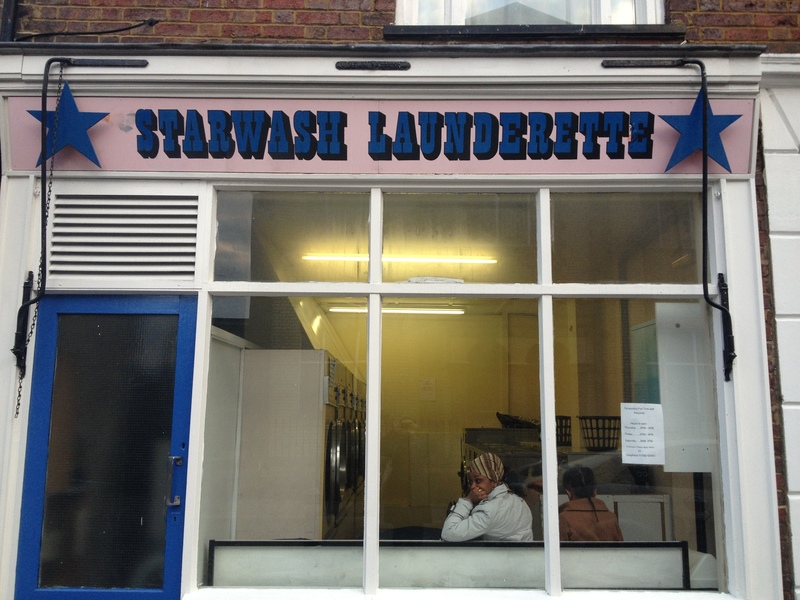 Straight out of Hoxton: Starwash Launderette. This entry was posted in High Town and tagged Brickies, High Town Road, hipster, Local friend Grumbly Bob, Scandi by Cappuccino Police. Bookmark the permalink. What a great blog post! Totally agree with the comments on the Scandinavian. I’d love to eat breakfast more there if the sausages didn’t resemble porridge poured into leather pouches. I reckon more and more people will flock this way as London continues to get crazy expensive and trains continue to get faster. High Town businesses will hopefully reap the benefit. Thanks! 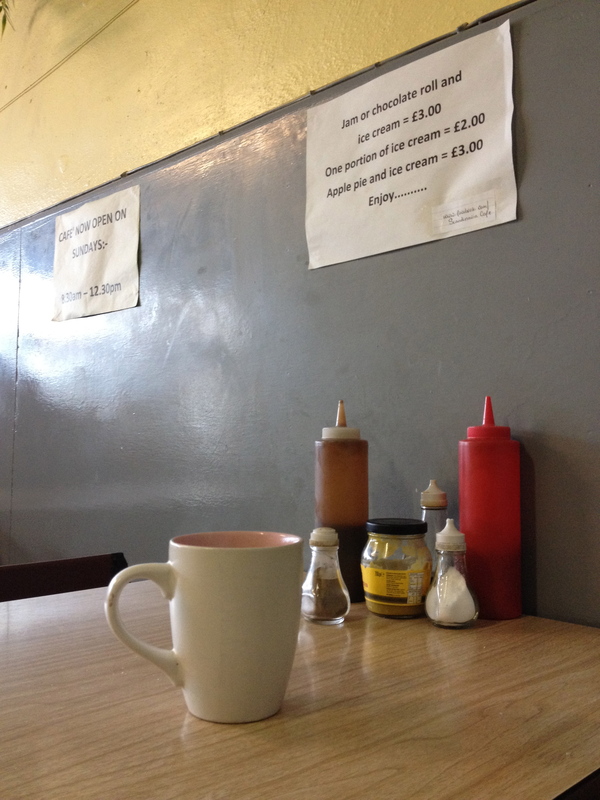 One of the challenges of this blog, for me, is going to be how to say ‘we love you, kooky independent establishments of Luton, but we’d love you more (and spend more of our money) if you were just a little bit better…’ It feels so difficult to say, and I worry that Yoga World & Pesto will come across as all hoity-toity and middle-class, but I don’t hear anybody else saying it in a public forum. I see people who don’t know Luton at all bashing us whenever they get a chance (step forward, the Daily Mail! ), and I see a lot of what I will broadly call Luton’s ‘middle-classes’ (and I really, really struggle with that term, and the way it might be perceived as judgemental and excluding) quietly preferring to spend their money in Harpenden Waitrose, or in Hitchin, or in the shops at St Pancras, etc. To me, that’s such a loss of revenue and both business and cultural opportunity to our town, and there is a huge potential for our Luton independent retailers to up their game and appeal to a broader audience. 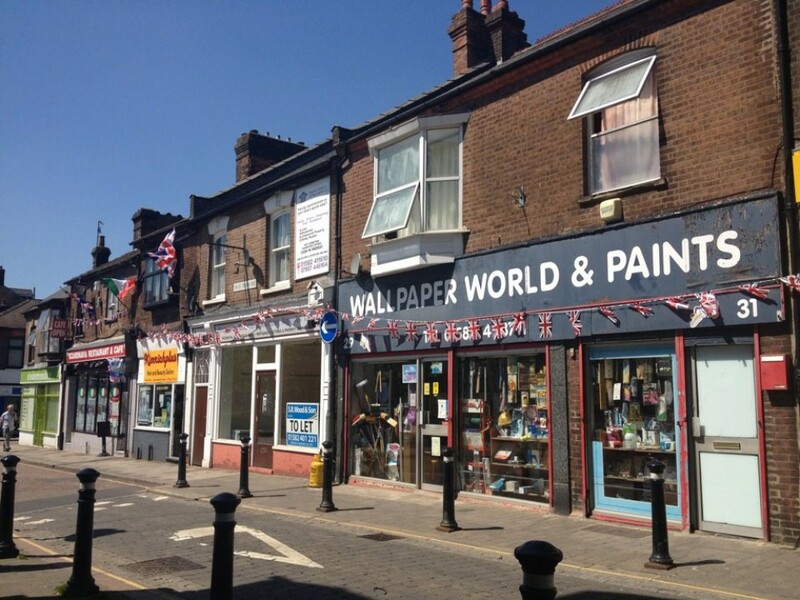 It will benefit them in the long-run, too, as otherwise they’ll just go out of business when the likes of Starbucks and the other chains do, eventually spot that Luton is this almost virgin business territory, and move in. And the Scanndi is not alone in cultivating an air of retro chic. Try Gino’s on Old Bedford Road and Toni’s off Guildford Street.